And Julie can't wear white after today. You guys know as well as I do--I cannot not watch Julie & Julia. That would ruin this whole project! And I don't even necessarily care about this project at this point--but I've come too far to quit now, right? The worst thing about it? I have no one to blame but myself. I knew what I was signing up for. Who am I? Why did I choose this? How is it only Day 280? That is too many times to see the same movie, let alone a terrible movie. Am I sane? What is sane? What is anything? What are movies? Are movies real? What is real? What makes reality any more real than a movie about tings that happened in reality? Why does it matter? Does God exist? And if He did, would He want me to continue? Would He want me to continue doing His work? What if God was one of us? Just a fool like one of us? Just a slob like one of us? This is usually the point where I'd make some sort of joke to prove I am okay and demonstrate that I am still a relatively likeable guy. But I'm just not feeling it today. Because I can't always be funny. I'm stuck watching this movie every day and as a result, I have transformed into the irascible Julie Powell. Is today going to be my "breaking point?" The post that everyone reads and says, "Yeah, that's when he went off the deep end. That's the exact moment that Lawrence Dai went crazy." I'd argue that that moment happened a long, long time ago. Julie & Julia Quote of the Day: "You can just go online, press enter and there it is, out there." heyy you crossed 1k subscribers! kudos! No need to panic now. You can do 85 days standing on your head! You'll have a lot to show for it when it is finished. Isn't this how you got your job? Your radio interview? Your name in lights? you can do it! i mean, it's totally pointless and we're all going to die someday anyway, so who cares... but you can do it! ...just think, someday someone will make a movie about a blog about a movie about a blog about a book about the French art of cooking, and then you'll be famous forever. I'd say there was some mind slippage that led to the idea of this blog to begin with. I find your blog to be hilarious! 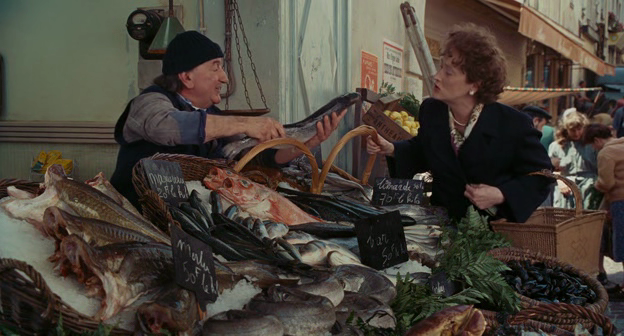 I have been in love with Julie and Julia since the first time watched it. I actually felt like I had a new closet obsession watching it every night when it was OnDemand. So your blog lets me know I am not alone in enjoying the movie.